SNL | Do You Hear The Music? Foster The People on SNL This Weekend! Set your DVR so you don’t miss Foster The People performing this weekend on Saturday Night Live! Ben Stiller is hosting so it should be a great show all around. Two things to note. Watch the preview video below and you’ll learn that FTP will be performing “Houdini” and there will be a special guest joining the band tomorrow night. Love that Jack Johnson decided to have some fun with his new music video “At Or With You” bringing in Andy Samberg to star opposite of him. As many know, Samberg impersonated Johnson on SNL and while Johnson wasn’t a huge fan of it, his retaliation came via the music video as the two duke it out for four minutes. 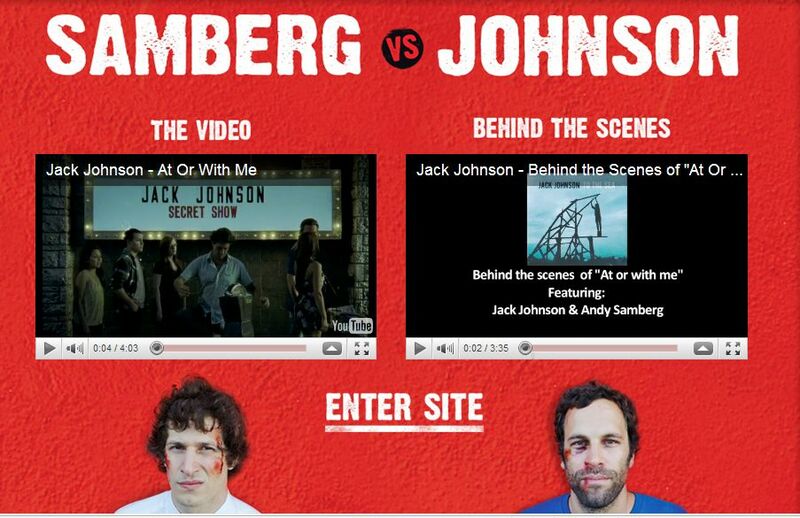 But what I really like is the homepage of Johnson’s website to look like a fight card and that it has both the music video and behind the scenes video. Take a look for yourself HERE.